Polysleep offers, bar none, the most exceptional value based on the cost of a quality mattress available in Canada. Polysleep truly represents luxury at an unbeatable price. Buy with confidence as this mattress is built to last at least ten years. Thoughtfully crafted and meticulously designed you enjoy a refreshing cool sleep while simultaneously feeling superior support while sleeping on your side, stomach, and back. 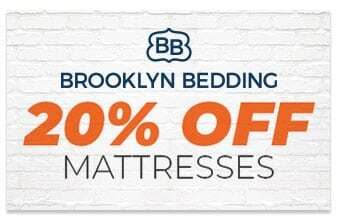 Featuring proprietary edge support and a soft spill-resistant cover ensures your mattress is safe even if you have an accidental spill in bed. 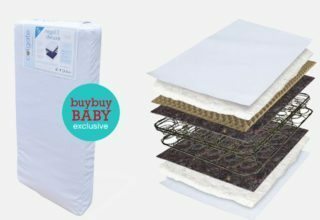 With its ventilated hybrid foam topper, soft support transition layer, high-density foam base and extra-firm support frame, the Polysleep Mattress is one of a kind. Verified Spill-Proof. All of the benefits of a mattress protector without the need of a protector. The cover is soft and liquid-resistant. Superior Ventilated Airflow. With a proprietary Hybrid Memory Foam that dissipates your body heat in real-time. This creates a cool, comfortable sleep environment regardless of your preferred sleep position. Industry Leading Edge Support. With an attention to every detail, the internal support frame is an additional layer of high-density foam that exceeds the market by delivering exception edge support. This means you can lay on the edge without the feeling the foam will collapse. Less Contouring. This wasn’t a major concern as far as for form, feel or support. When you lay on this mattress your body will naturally sink into the mattress while relieving pressure. The density of this build does conform but doesn’t have you sink deep into the mattress as the comp set. In our focus group testing, this was not a deal breaker. Highly Recommended. This mattress provides amazing support for your entire body in stomach, side, or back sleeping positions. Immediately Responsive. As soon as you move this mattress will immediately conform to your body shape. The provides an amazing feel regardless of your sleeping position. Edge Support. 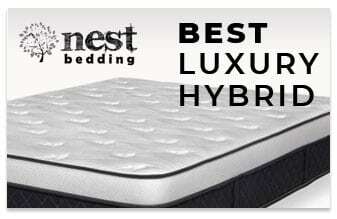 This build has the industry's best edge support amongst all memory foam mattresses globally. Total Height. 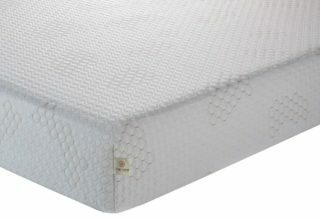 10 inch, three layers, all foam mattress with superior edge support and spill resistant soft cover. Top Layer. Ventilated Viscoelastic Hybrid Foam – 3.0 lbs / ft3. Performance: The top layer is anti-microbial. It allows air to circulate, keeping you cool while adapting to your body. It identifies the pressure points, reduces the temperature and the firmness of these points in seconds only. It prevents any moisture from accumulating. Middle Layer. Support Layer – 1.8 lbs / ft3. Performance: The support layer serves as a transition between the top layer and the base. It is designed for your comfort and provides full body support to ensure a better sleep. Bottom Layer. Supportive Foam Base – 1.8 lbs / ft3. Performance: The first layer, or base, of the ultimate mattress is built with high-density foam and acts as a boxspring, while providing unparalleled reinforcement. It adds durability, strength and comfort without feeling too firm. 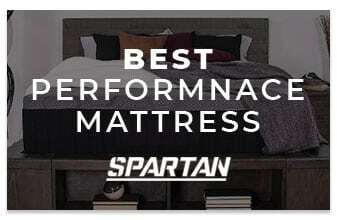 Performance: The proprietary support frame makes this mattress truly unique. This keeps the mattress from flattening out when you sit along any of the edges and helps to reinforce the structure. 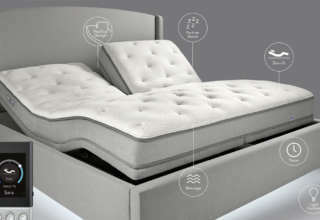 All the foams used to create the Polysleep mattress are CertiPUR-US certified. CertiPUR-US® approved foams are made without ozone depletes, PBDE flame retardants, mercury, lead and other heavy metals, formaldehyde, phthalates regulated by the Consumer Product Safety Commission. They are also Low VOC (Volatile Organic Compound) emissions for indoor air quality (less than 0.5 parts per million). Shipping is Free. We only ship to Canada. We use UPS Ground. All mattresses come shipped in a 17”X 17” X 41” box.